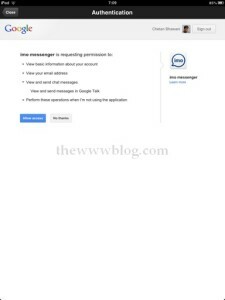 Instant messaging is available through several messenger services, the most common ones being Google Talk, Yahoo IM, Facebook Messenger, AIM, MSN etc. Having each of them separately opened and active on your mobile phone isn’t easy at all, as the device cannot handle so many active apps all the time while you are doing something else at the same time. 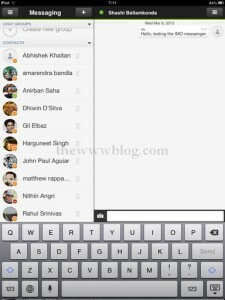 For making it easier, there are several 3rd party chat clients which would integrate many Instant messaging services in one, and keep you online from all of them at the same time. IMO instant messenger does the same job, but in a way better than many other such clients, having the easy-to-use options to integrate and chat. 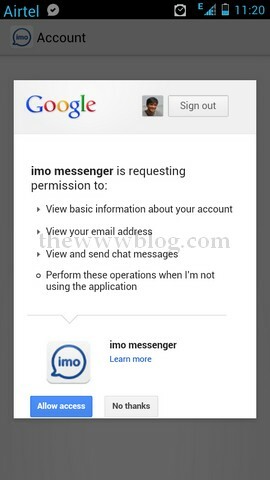 Earlier the IMO instant messenger was available even for the Nokia devices, but after several bugs and issues were reported, it was shut down and now no longer has an app available for the Nokia phones. What’s the best about IMO messenger? 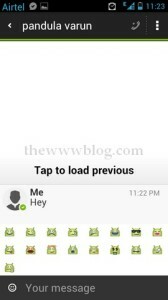 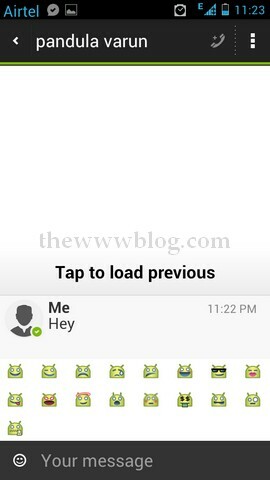 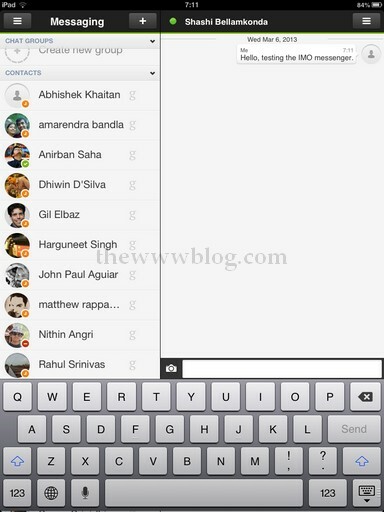 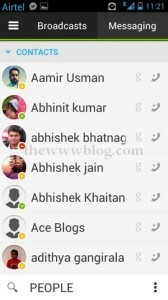 Multiple messengers connected – This includes my favorites like Google Talk, Facebook Messenger, MSN messenger etc. apart from the several others like ICQ, AIM, Yahoo, Skype, Jabber etc. 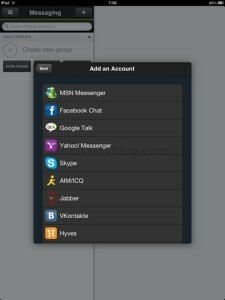 Group Chat – The messenger allows you to set up group chats including a few members of the same IM client together, or using the contacts who are using the IMO messenger at the same time. 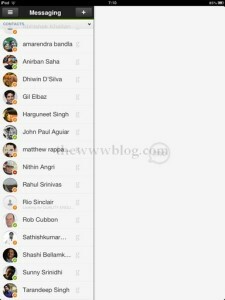 One can set a topic for the group chat, and add members and that sparks off the chat. 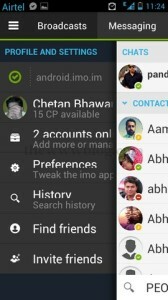 Chat History – Simple syncing between the chat history of the IMO messenger and your chat client like Google Talk, where on your order the entire chat history from Google Talk can be seen on the IMO messenger directly. 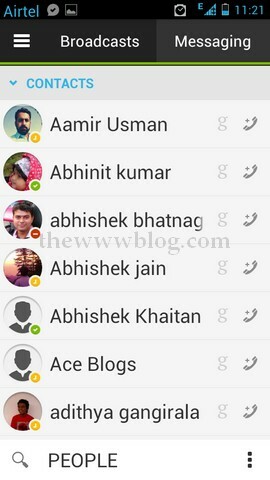 Chat from Browser – What we are seeing in the different mobile phones, is available even on the desktop web browser as the IMO messenger can be accessed and used, the best for group chat directly from the imo.im website. 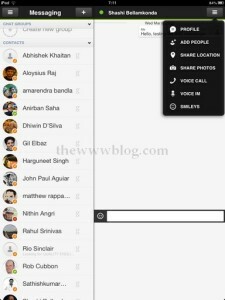 Voice Messages – Move ahead from the simple text messaging, and send voice IMs of up to 30 seconds long, to any contact of yours. 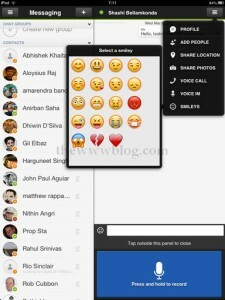 Flexibility for making new friends – Just like the social networks, the IMO instant messenger makes it easier for people to find others and make friends from around the world, as there is a Broadcast section where your updates reach many similar users, and they can start interacting with each other. 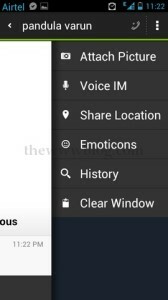 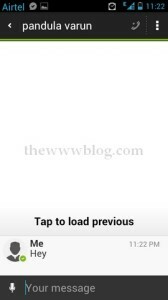 Flurry of options – The IMO messenger for any mobile OS can got many options to play around with, including the push notifications which may be set to vibrate, light, sound, popup or ringtone. 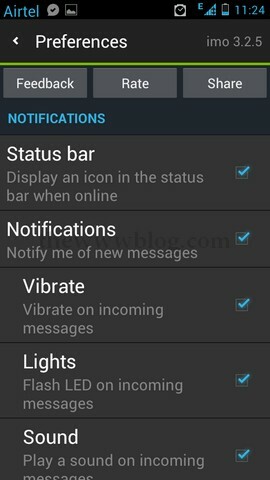 Sleep Mode – The IMO messenger would keep itself active during the sleep hours but won’t disturb you, where you won’t be getting any sounds or vibrations for the notifications. 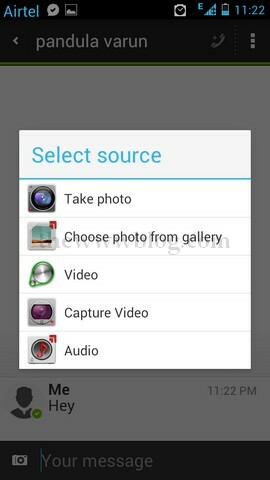 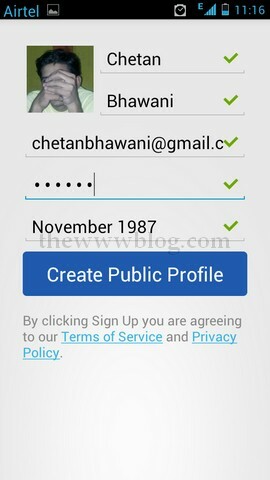 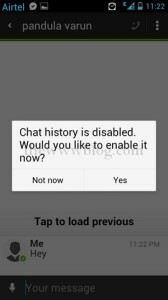 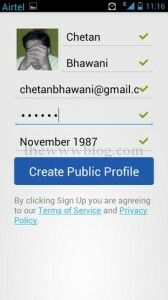 Chat History – One can choose whether to save the chat history, or just chat but not have anything saved. 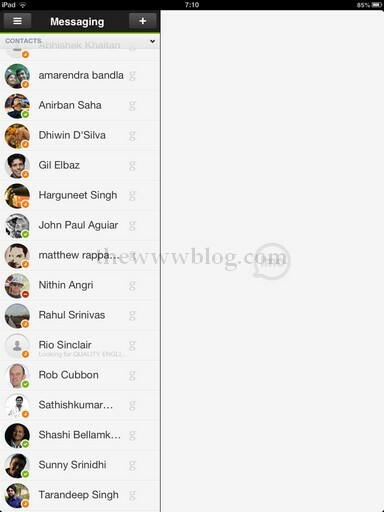 And at any point of time, they can select to delete the entire chat history from the Preferences section. 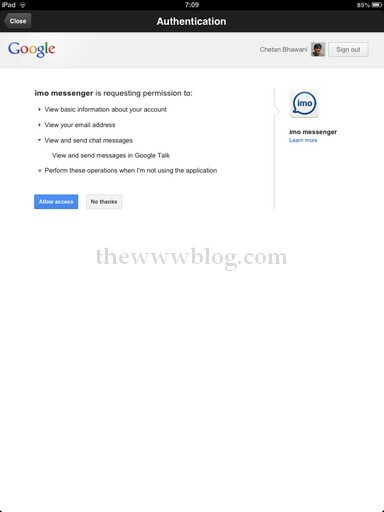 Security – The security of the IMO.im has been one of the best as reviewed by many users, as the service uses a software developed by the OpenSSL Project for providing security. 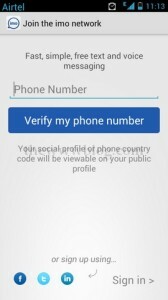 The IMO messenger would make it easier for logging in by storing the passwords securely for your different accounts, but one can choose not to have them saved and manually enter the password all the time. The IMO Instant messenger for iOS includes for both iPhone and iPad (even iPad Mini), where you just need to have an account using your phone number just like with the Android phone. 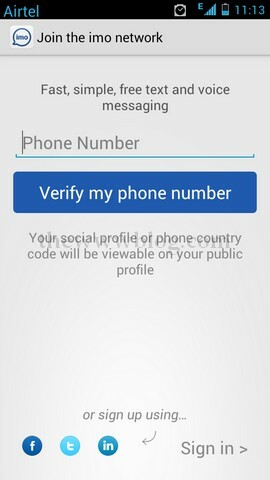 Enter the phone number if registering for the first time, and even if your iPad doesn’t have a SIM card you may use a phone number that you have in a mobile phone, so that the confirmation SMS is received and the code has to be entered to register with IMO. 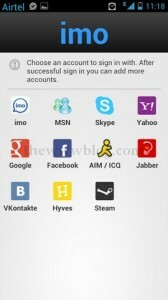 If you already have an account in IMO, it would be easier to login through the Apple iPad.